Lawrence English is a composer, media artist and curator based in Australia. Working across an eclectic array of aesthetic investigations, English’s work prompts questions of field, perception and memory. He investigates the politics of perception via live performance and installation to create works that ponder subtle transformations of space and ask audiences to become aware of that which exists at the edge of perception. 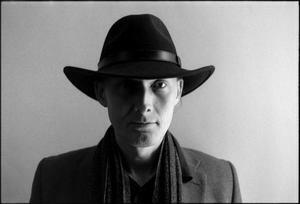 Wilderness of Mirrors is the latest album from Lawrence English. It is two years in the making and the first album created since the release of his 2011 ode to J.A Baker’s novel, The Peregrine. It is English’s most tectonic auditory offering to date, an unrelenting passage of colliding waves of harmony and dynamic live instrumentation. Wilderness Of Mirrors is reflection upon reflection, a pure white out of absolute aurality. 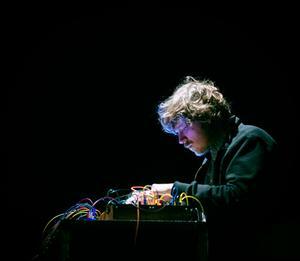 This summer John Chantler will release Still Light, Outside — a suite for pipe organ and electronics that combines stark minimalism at the extremes of the organ’s register with striking explosions of color. Chantler’s previous LPs were released on ROOM40. Even Clean Hands Damage the Work (2014) included the first output from his time at EMS. It followed The Luminous Ground (2011), included in The WIRE’s top releases of that year. The Luminous Ground focused on the modular synthesizer system he explored as part of his 2009 LP U with Lawrence English and Tujiko Noriko. Initiated in 2011 with a private edition LP, Chantler’s Automatic Music series resumed in 2014 with a second volume on cassette via The Tapeworm and volume three coming as a 40-minute download. In concert Chantler patches a versatile system capable of spontaneous change—from patterns of sliding arpeggios and visceral noise to pointillist interjections. Originally from Australia, he now lives in Stockholm, Sweden.